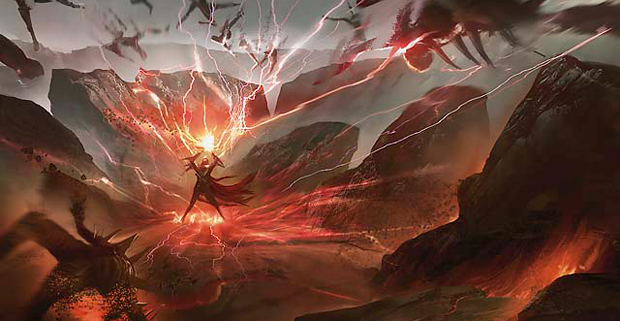 Red Deck Wins (RDW) has been a part of almost every format at some point or another, and Modern is no different. RDW can take several forms, from the Goblin Rabblemaster builds that are running around Standard currently to the spell based builds that are currently lighting up Modern. Because this is a spell based build that relies on 28 instants and sorceries to win, we specifically call it Burn instead of RDW, and it is Mono Red because there have been (and still are) versions that splash other colors. 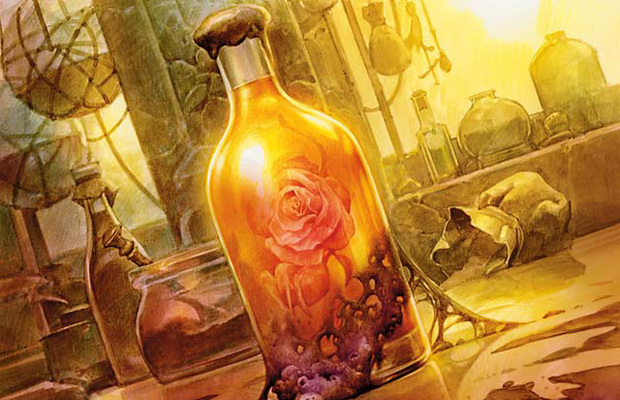 This deck is filled with the most aggressive and cost efficient creatures and spells that Modern has to offer. The aim of the game is to chain about seven spells together and kill your opponent, that’s it! No gimmicks, no games, just seven or sometimes less spells have to resolve and you win the game. Burn’s major strength other than being fast is being able to go strait for the face. 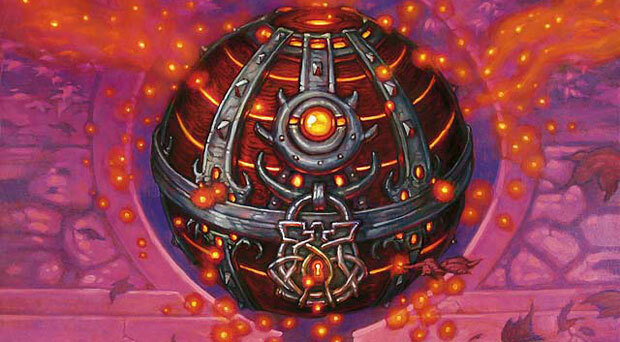 Most decks in today’s Modern have to win by turning creatures sideways. That is a good plan, in fact this list can also use that strategy, but it is not necessary. Every single spell can be aimed at our opponent and that is exactly what you will be doing almost every game. There are some scenarios that burning a creature so that your creatures can get through is correct, but usually burn goes to the face. These spells are the heart of the deck. Three damage for one mana is exactly what this deck wants. Remember how I was talking about chaining seven spells together to win? That is because 3 x 7 = 21 and since players start life out at 20, this is bad news for your opponent. Most spells in this deck deal three or more damage so winning is seldom harder than counting to seven. Of these particular spells, Shard Volley is clearly the worst and I would start there if you were looking to cut anything, but as a whole these do exactly what they promise to do. Other than the Shards, every one of these spells are a mandatory four of and you should not consider running any less. Goblin Guide is the single best one drop in the format. Every single opening hand you will want to have at least one. If you are going first and you drop him and attack, they are at 18 before cracking a fetch, and before shocking themselves. Then after they take even more damage from their land they also have to have a one CMC kill spell. If they have it then they just took lots of damage to kill your one drop, and if they don’t then you get another turn with Goblin Guide! If Goblin Guide is the Michael Jordan of one drops, then Monastery Swiftspear has got to be LeBron James. It is newer, and people have less experience with it so far, but it is very close in power level to the Guide on every turn but turn one, and in some turns it is distinctly better! All the Swiftspear asks is that you cast your spells precombat- that’s not to much to ask is it? I think not. I will be happy to run four of each. Two mana cost creatures are not where you generally want to be with a burn deck, but this creature is so powerful that it warrants it’s inclusion. The damage that he does to you is negligible, but it is a nightmare for opponents. Almost every single deck in Modern has lots and lots of spells that will trigger this little guy’s Shock effect, and sometimes the spell they cast doesn’t even do anything relevant. Many times your Eidolon will be met immediately with a kill spell, and that is okay. Two mana for two damage and a card out of their hand is a fine deal. Where he really starts to shine is when they can’t kill it right away. They can’t just keep casting spells that do not do anything because Eidolon will kill them. But if they do nothing then you will kill them in short order anyway! This creature is a win in any situation and I am happy to have the full four. In a format as vast as Modern there is bound to be some good life gain cards, and these prevent that from being a problem. Everything from Lightning Helix to a large Vault Skirge cowers in fear of these two cards. Trust me when I say that when your opponent goes to Helix your Goblin Guide and you respond with a Skullcrack, that throws everything that player was trying to do off, they are six lifeponts away from where they were planing on being, SIX! That can throw off the opponents math by a lot and may mean death to them. Both cards are reasonable burn spells for the cost and four damage in one spell is a lot even if it does not look much more impressive. Four copies is definitely right for Skullcrack, and until something better becomes available I will run four Flames as well. These round out the spell portion of the deck. awkward because it does ask you to play fetch lands to make this three damage all the time, but all together it works. I say the same thing about Magma Jet. It is not the most exciting card, but Scry 2 is very powerful card selection, especially for red, so these do well for the last few filler cards. Mountains!!! Plus a few fetches to make Searing Blaze work, but for the most part Mountains!!! 3 Anger of the Gods: This will come in as your ace in the hole against decks that would outrace you with creatures like Zoo and Delver, or be able to control you with them like Pod. While it is a very good card to have just be careful not to catch too many of your own creatures in its heat. 3 Molten Rain: I have seen this card, I’ve seen Blood Moon, and even Fulminator Mage in this slot. Molten Rain may not be the strongest choice, but when it is good, it is great, and when it is bad, it is at least still a shock that has an additional effect. That is more than you can say about Blood Moon. 3 Smash to Smithereens: This card feels unfair in the matches it is good in. It feels like Shrapnel Blast, except I am sacrificing your artifact and you are still taking the damage! If you are playing green this should become Destructive Revelry but as is it is a fine inclusion. 2 Dragon’s Claw: The mirror match can be frustrating, so can U/R Delver. Here is the answer to both! You gain life for every spell you cast, easily outpacing any Delver deck, and you turn every Lightning Bolt from your opponent into a Shock! If you expect to play against these two decks you could do worse than a few of these Claws. 2 Searing Blood: In some respects this is better than Searing Blaze, and in others it is not. I think the decision to run five of these effects in the 75 is because of how good Delver decks are right now. I think I would also bring this in against Pod and Affinity. 2 Relic of Progenitus: Graveyard hate is essential in Modern even for a burn deck. There are some decks that just abuse the yard so thoroughly that they can race burn. That is one reason it is here. The other reason is that it is still a good Tarmogoyf hoser and still draws a card so it is all good in my book! Pro tip: Be sure to cast Searing Blood on the Goyf before activating the Relic’s ability, that way there is no way that it’s controller can pump the toughness by two before it dies. By far Burn is the cheapest Modern deck you can get your hands on. Coming in at a whopping $250 for the whole deck. The largest offender here is Goblin Guide at about $25-$30 a piece, but he is well worth it. 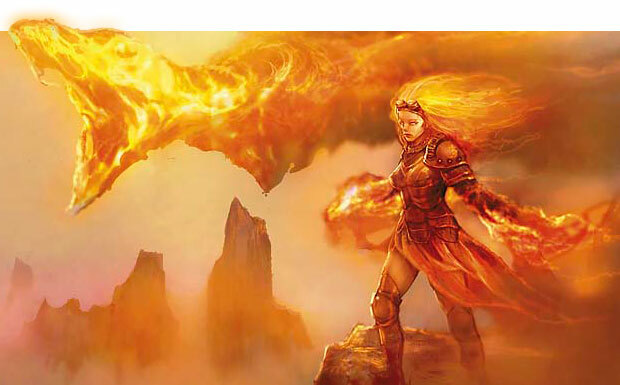 The fetch lands are needed to make Searing Blaze good at instant speed, but if you can cut those for some Searing Bloods then the fetches are unneeded bringing down the total by roughly $40. If you are playing on a budget this is the most budget friendly deck that you can get and it will put up results. Delver decks are also friendly to the wallet. Life gain has traditionally been the best way to beat Burn decks although this list in particular does a good job of making sure that does not happen, but I will list the options anyway. Lightning Helix is probably the best proactive card you can cast against burn. It will usually kill a Goblin Guide and it kind of counters a Lightning Bolt, so it’s a win win! Just be careful of a Skullcrack. Timely Reinforcements is spectacular against this deck. You take some damage from Goblin Guide, eat a bolt or two, then BLAM! Gain six and have enough blockers to kill the pesky Goblin and one more to chump block. This card is almost a three for one against burn, but just like with Helix, a Skullcrack will throw off the math. Kitchen Finks is similar in many ways and is almost as good as Timely Reinforcements. The up side is it is harder to Skullcrack. The next two are related in some way, the first is Dragon’s Claw and the second is Sun Droplet. Usually you would only run the Claw if you were also running red to help get full effect out of it. The Sun Droplet on the other hand, WOW and I’ll say it again backwards for emphasis, WOW! If this comes down on turn two it makes Goblin Guide look silly. It will work every turn for the rest of the game and it is very hard for Skullcrack and the like to stop! Unfortunately neither of these are full stops for burn, they are only a way to extend your life a few turns. You will still have to win in a timely manner. The last card here is the biggest and baddest Burn hoser this side of 8th edition, and that is Leyline of Sanctity. I have had several Burn players scoop to turn one Leyline. It is powerful and it changes the rules of the game from turn one. The downside of Leyline is it is kind of dead if it is not in your opening hand, and it is narrow- so narrow in fact that unless you are playing combo and are afraid of discard spells, you probably will not even want this in the side board at all! But if you are desperate to beat Burn, this is your card. The last piece of advice I can give is to fetch for basics whenever possible and always kill whatever creature they lay down as soon as possible. The strongest part of burn is also it’s weakest, the creatures. If they never hit you with a hasty threat, and Eidolon only ever deals two damage to you, then you are doing very well for yourself. But beware because all the burn that they can throw at your head can bring you from a respectable 12 or 13 life to 0 in as little as four spells. Red and blue decks are my favorite and I always like playing them and tweaking them for whatever metagame I find myself in. Mono red may not even be good in some metagames, that is why there are other colors. Sometimes a splash of another color can make all the difference in the world! Adding white gives us Wear // Tear in the side board and access to Lightning Helix and Boros Charm. On the other hand green lets us call on the power of Destructive Revelry in the side. Or perhaps adding both white and green will make it possible to add another good creature, Wild Nacatl! The sky is the limit with the little tweaks and improvements you can do to this deck. There are even some lists running around that are splashing blue for four Treasure Cruise. If you did that and also had white you could run a play set of Geist of Saint Traft in the side board if you felt like it. Whatever you do with this deck try to improve it as a burn deck, not turn it into something else. That is all I have for this week! But not to worry, I will be right back here next week with another Tier I list that will knock your socks off! Unless you’re not wearing socks, in which case I suggest putting some on before next week. Leave a comment down below or on social media telling me whether you wear socks while reading so I can accurately gauge exactly how many socks I will have to knock off next week. I hope it is a lot! 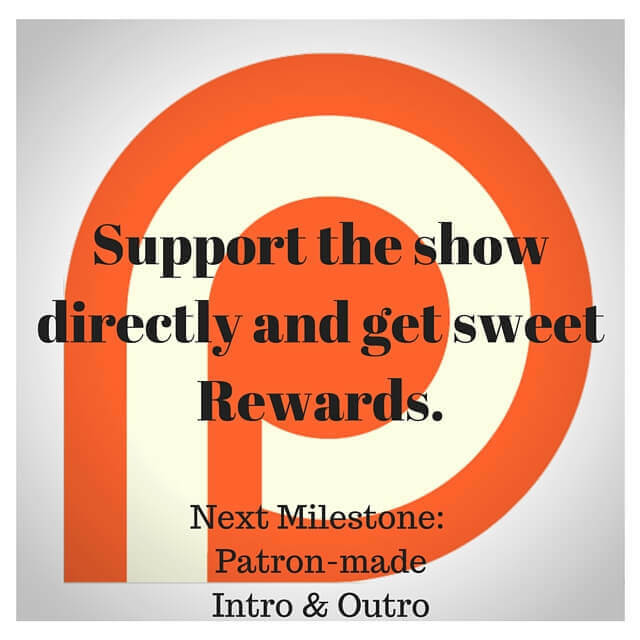 Subscribe to receive the email mini course, my weekly newsletter and instant access to a free resource guide! Great read, definitely helping me fine tune my mono red build. Thoughts on Vexing Devil as a substitute for either Goblin Guide or Eidolon? Also, how about Leline of punishment in the board? Hello Michael, thank you for taking an interest in my article. Unfortunately I do not think Vexing Devil is a great inclusion, however it could work as a temporary substitute if you do not have access to the better cards. I should note that this article is old and burn has evolved quite a bit. Mono red is no longer the best choice, actually RWG is the objectively most powerful combination right now. this list will still win matches and will probably be fine for an FNM, but I would suggest investing in the superior build before trying for a larger tournament. as for leyline of punishment, unless you’re local metagame is plagued by soul sister like decks I would forget about it. A card that ultimately doesn’t advance your game plan (getting their life to 0) should not be considered. 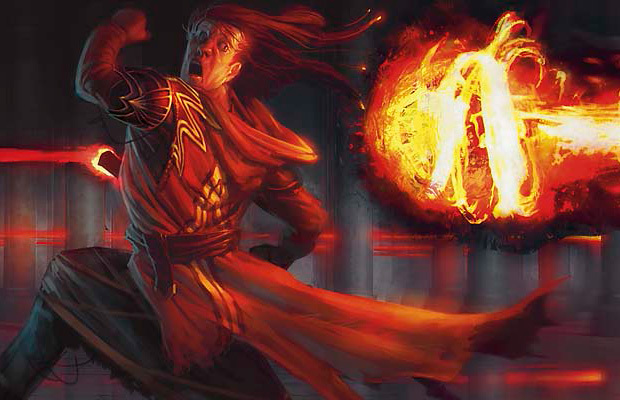 How about splashing some black in the Monored for RAKDOS CHARM and BUM IN THE NIGHT? That’s a really good idea. Bump in the Night seems like a perfect fit. Have you done this to good results? Indeed, ive splashed Black for Rakdos Charm, Bump in the night, Self-Inflicted Wound. Added 4 bloodstained Mire and 4 Shockland Black/Red. Its not a Naya Burn, but it does it job well at FNM tournaments.